Sell more! Set up attractive discounts for customers who buy large quantities. Run special Christmas, Easter or Black Friday promotions. Set up clearance or flash sales. All laptops 15% off until midnight! Free case with each cell phone! 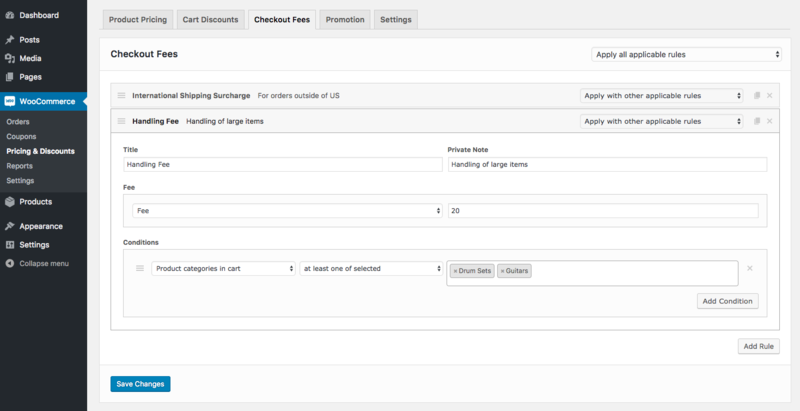 Using this extension, you can set up the most powerful promotions in minutes! 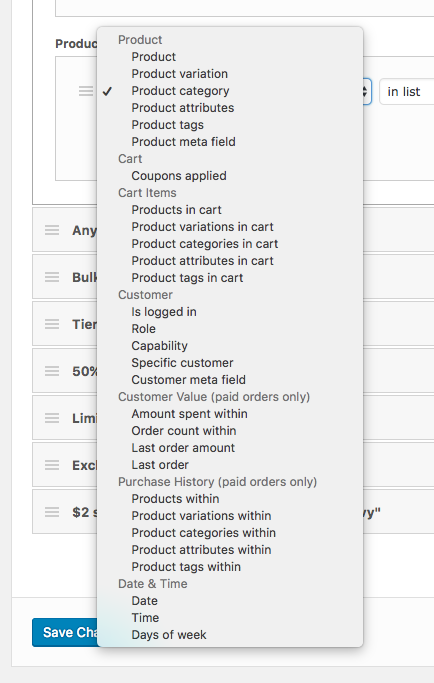 Does this extension support product variations? 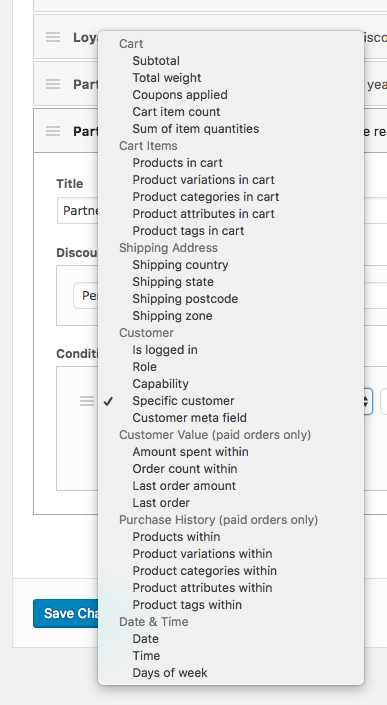 Yes, you can either select parent product to apply one discount for all variations or pick individual variations to set different discounts or include/exclude specific variations from a more general rule. 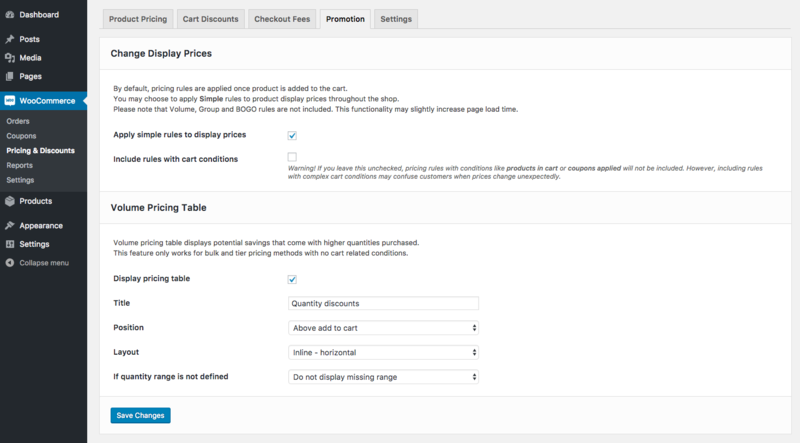 You can also select products to discount by their attributes, tags or even custom field values. 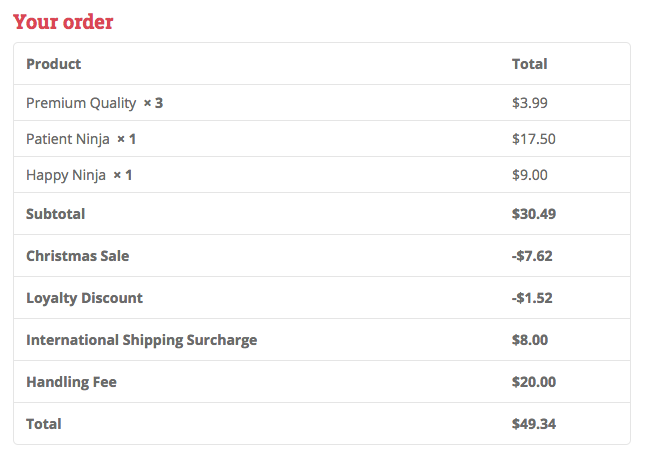 Can I set different discounts for different categories at the same time? 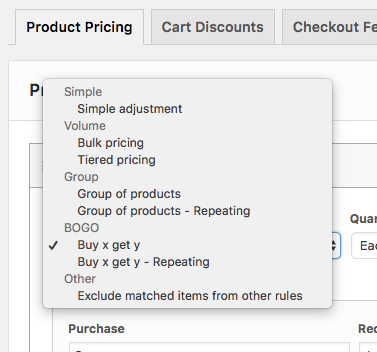 Yes, you can create multiple product pricing rules and configure different discounts for different categories. 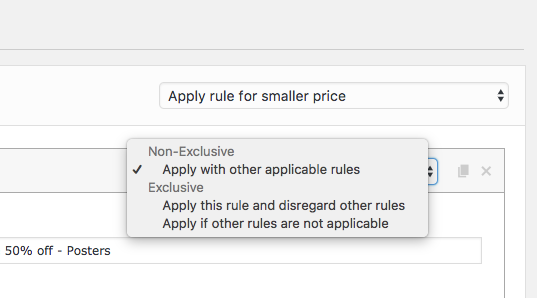 In addition, you can pick individual products that you may wish to exclude from the category rule. Can I offer discounts to subscribers/members of my site only? 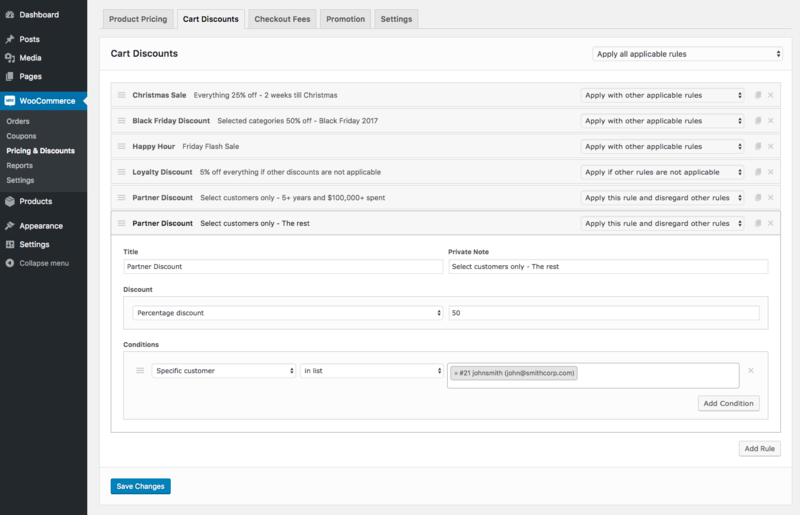 Yes, you can use this extension to run promotions dedicated to subscribers or members of your site. The only requirement for your subscription/membership system is to use custom role, capability or user meta entry to tell members from non-members. 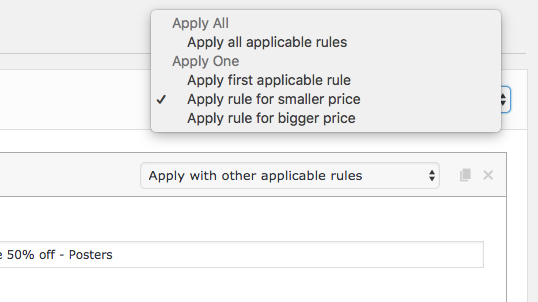 For example, if you have a membership extension which changes user role to “member” when someone purchases a membership, you can use a role condition with value “member” to make sure that only members are eligible. How will my customers know about the sale, special offer etc? When developing this extension, our initial focus was on actually making all the different pricing adjustments, discounts and fees work. 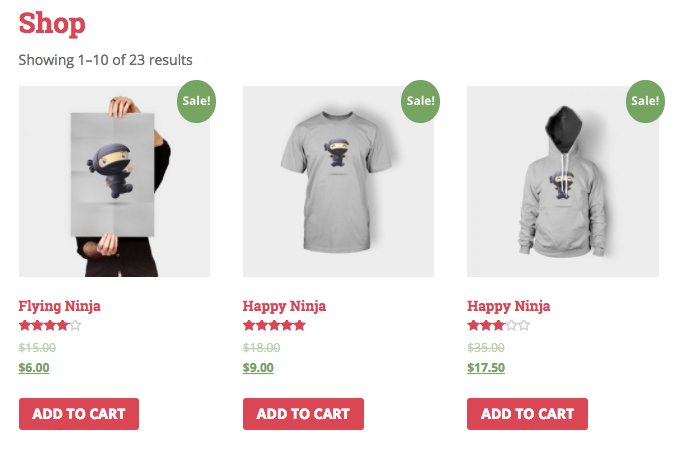 You can make almost any pricing strategy work but usually your customers are going to see their savings after adding some product to cart or going through the checkout. 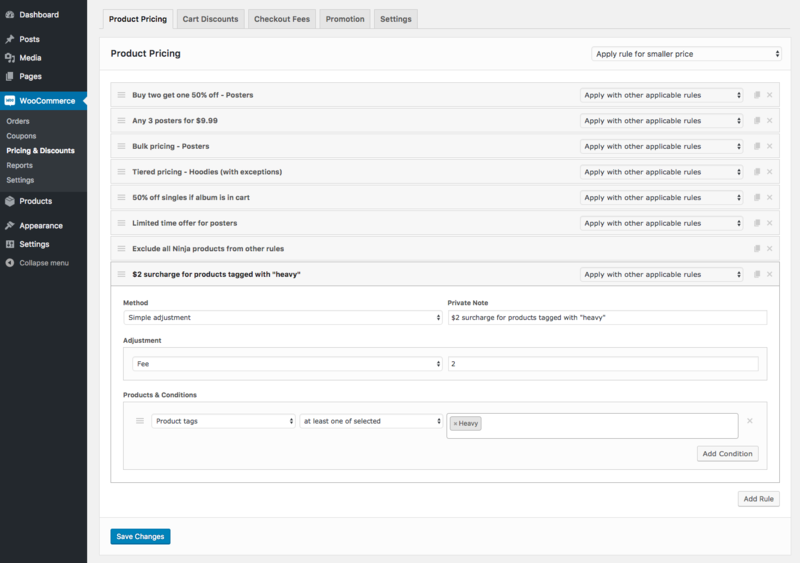 After getting the actual logic work well, we shifted our attention to the tools that help your customers learn about your deals and sales – you can opt to display a quantity pricing table for bulk and tiered pricing rules or make product prices throughout the shop reflect simple pricing rules. More promotional tools are planned for future releases. Does it support … scenario? 9 out of 10 times (maybe even 99 out of 100) when we get this question the answer is yes. 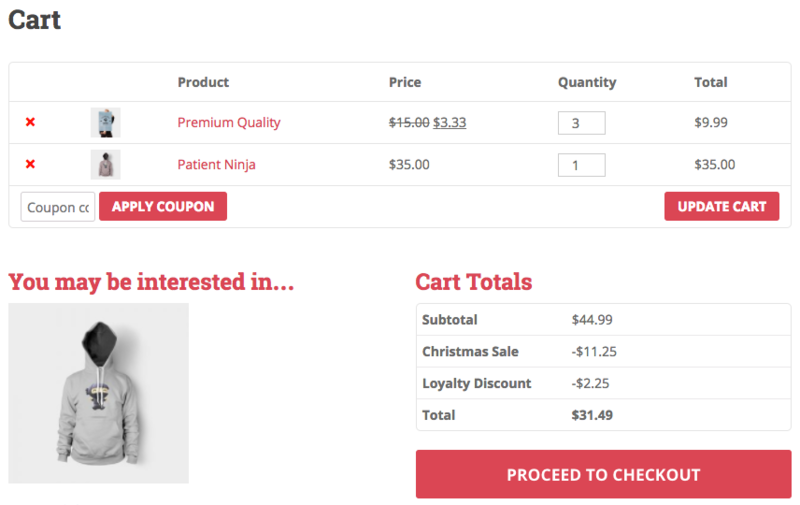 This has to do with how this extension is organized – it is not limited to a few settings that do very specific things, instead it offers multiple pricing/discount/fee methods with dozens of conditions and useful settings which can all be mixed and combined to come up with virtually any product pricing rule, cart discount or checkout fee. If you want to be sure that your desired scenario is supported, simply check out examples on this page, search the comments section, our knowledge base or just ask us. But have no doubt that such simple pricing rules as “buy 2 get 1 half price”, “buy 10+ with 15% discount” or “3 for $9.99” are supported. Is it compatible with … extension? 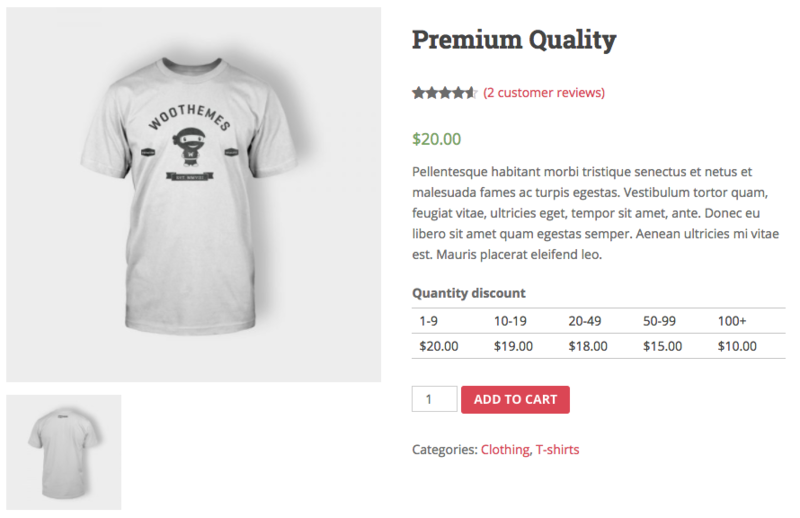 More often than not this extension is compatible with other WooCommerce extensions as it uses standard price hooks to change prices and standard methods to add discounts/fees. There may be some edge cases where compatibility is not achieved out of the box – in these cases we either come up with a solution within a reasonable time frame or provide clients with a full refund. WPML compatibility is still on our to-do list as of now. Does it support decimal quantities? Decimal quantities are not supported and will not be supported in the future. This is due to some technical solutions in the plugin that do not work well with decimal quantities. These solutions enable some great functionality which would not be possible otherwise. It depends on your specific needs. This extension is fully compatible with a few popular currency switcher plugins and will work fine out of the box. On the other hand, you won’t be able to set specific discounts for different currencies – you can only set them in base currency and get it converted automatically. I installed this extension but run into a problem – what shall I do? Head straight to our support site! We have some self-help content that you can consult and will respond to your inquiry within 24 hours (business days only) if you opt to send us one. Although this extension was developed to the highest standards and is constantly tested by thousands of users, there may be some edge cases, unique requirements or exotic server setups that have not surfaced to this date – we always keep an eye for them and value any feedback from our clients. * Fix - Warning "Parameter must be an array or an object that implements Countable"
* Fix - Warning "Invalid argument supplied for foreach"
* Fix - Notice "Undefined index: display_offers"